So what’s next to buy and hot on all your favourite editors wish list? Every day I find myself searching for one thing that’s continuously at the top of my search engine, and that’s the power suit. 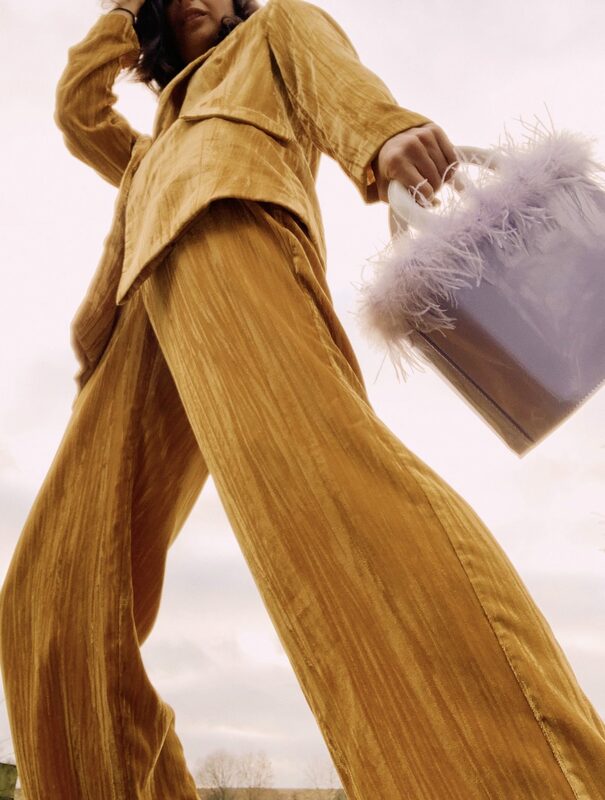 There’s nothing more I like wearing and nothing more than feeling put together than a co-ordinated suit, and the good thing this season, is that we are seeing suits of all colours and textures for a playful spin on. 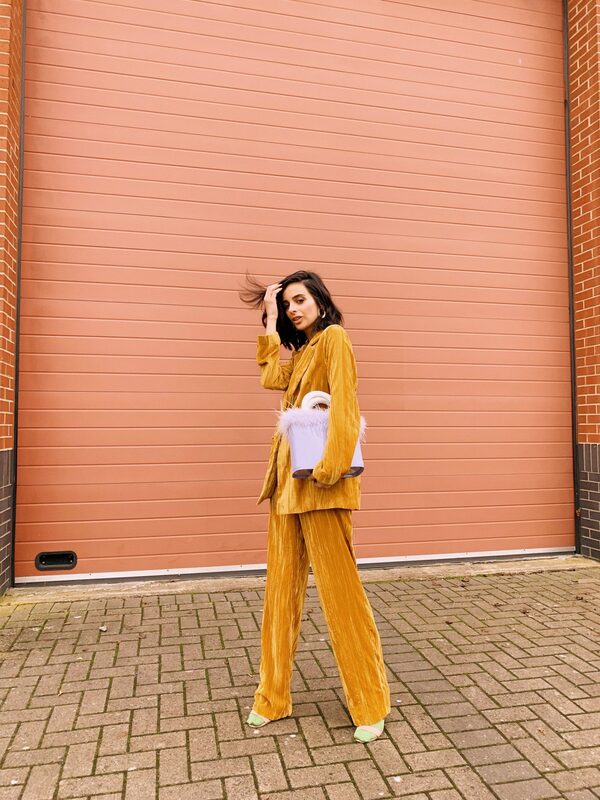 From Corduroy textures to velvet like this one i’ wearing here from Topshop. What I love most about this suit is the texture and its luxurious feel that makes me feel like its super more expensive than it actually is. Style it like I have with socks and sandals for a perfect evening out or some white sneakers for an off-duty look that’s still as polished. I’m currently lusting after a green suit myself but I’ve found so many different colours from orange to fuscia pink on the high street that are ticking off all the trends for this up and coming season. So if you are like me and have about 50 in your wish-list I’ve curated some of my favourite from across the high street to help you out a little!